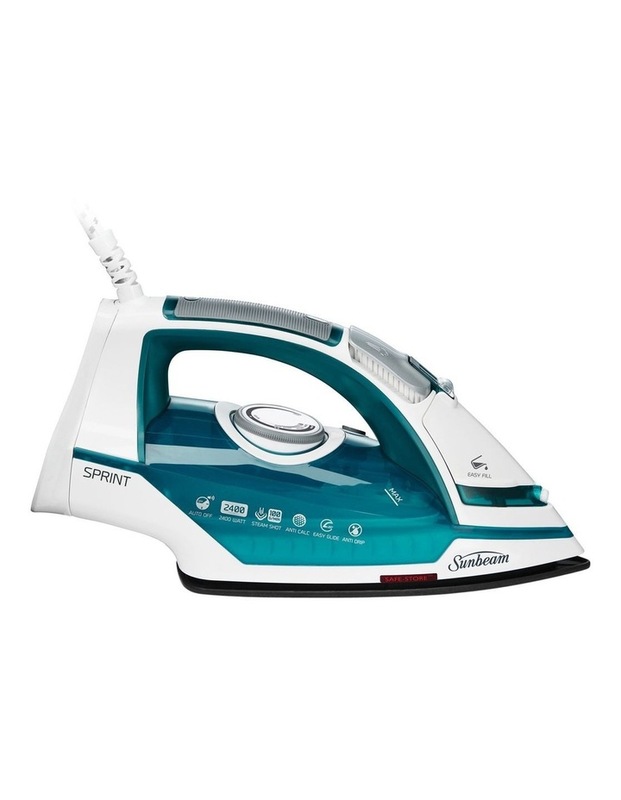 The Sunbeam Sprint Iron is a lightweight iron that is easy to handle yet delivers the results in crease removal. 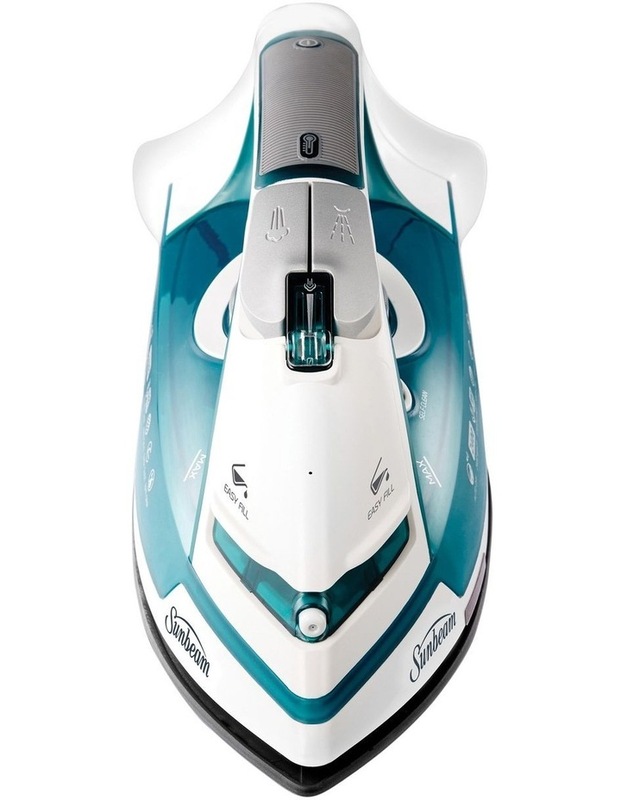 Features a safety store indicator which changes colour to indicate when the iron is cool enough to store safely. 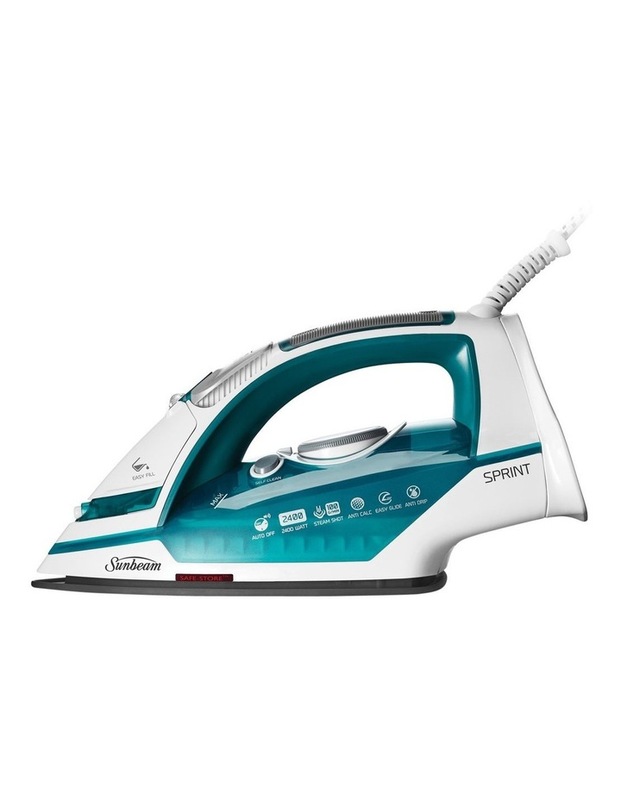 Less than 1kg for greater comfort, but still has 2400W of power, an impressive 100g/min steam shot and auto-off feature to make your ironing task quicker as well as easier.